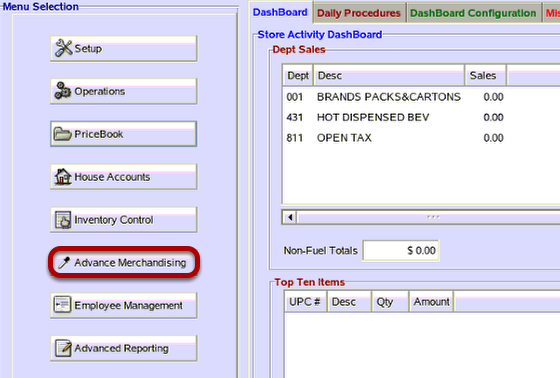 TravStar1 Point Of Sale SystemManager's Work Station Advanced Pricebook ManagementHow Do I Set Up a Buydown? How Do I Set Up a Buydown? In this lesson you will learn how to setup a buydown. From the Advanced Merchandising menu, click on the "Buydown Setup" button. 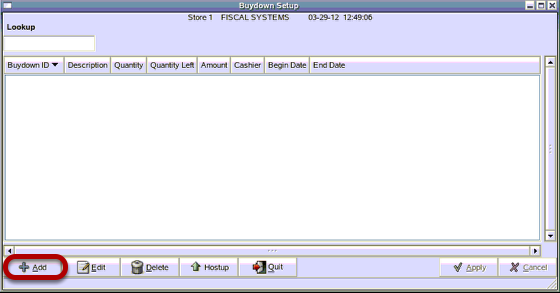 The Buydown Setup module is used to setup sales for specific dates. The unique ability of a Buydown is that the discount applied to the item can be set to a maximum amount of items to sell. From the Buydown Setup screen, click on the "Add" button. From the Add New Buydown screen, type in up to a 5 digit number. Then click on the "OK" button. Type in a description for the Buydown by clicking inside the description column for the buydown ID. Do the same for any of the other fields that you wish to populate. Then click the "Apply" button. Note: There are three different ways you can set a buydown. You can base the discount on a quantity. You can base the discount on a date range. You can base the discount on a quantity and date range. In this lesson's example the Buydown will take affect for the month of March or until 50 are sold. 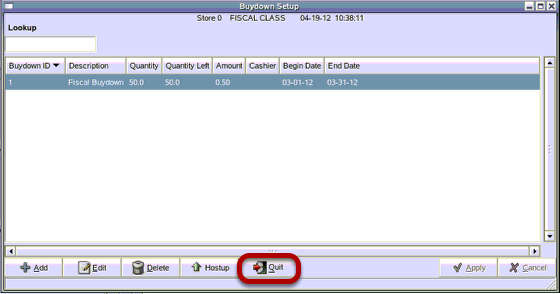 From the Buydown Setup screen, click on the "Quit" button. 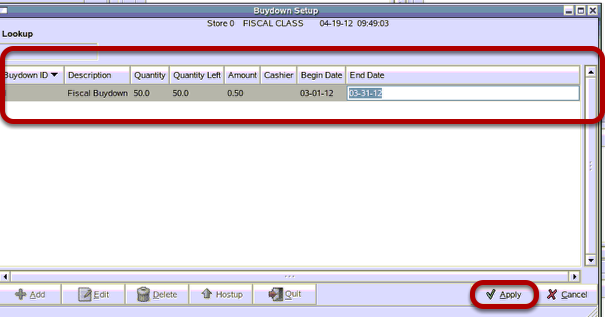 Once you have set parameters for the new Buydown, the buydown must be applied to an item. Prev: How Do I Apply a Mix Match Code to Multiple Items? Next: How Do I Apply a Buydown ID Tto a Single Item?